Our new spoken word poetry club Mother Foucault is finally ready to launch! I am lucky enough to have been asked to curate Mother Foucault, set in Bristol Temple Meads railway tunnels, on behalf of the ever innovative creative rebels Boomsatsuma. 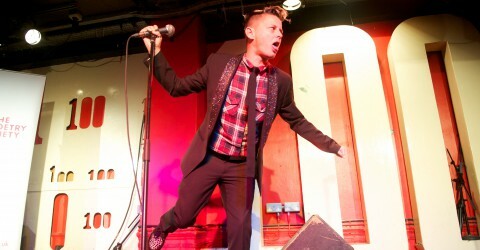 They will be evenings of high thinking and low debauchery, set on intellectual uprising and furious dancing, and featuring the most powerful names in UK spoken word and poetry. 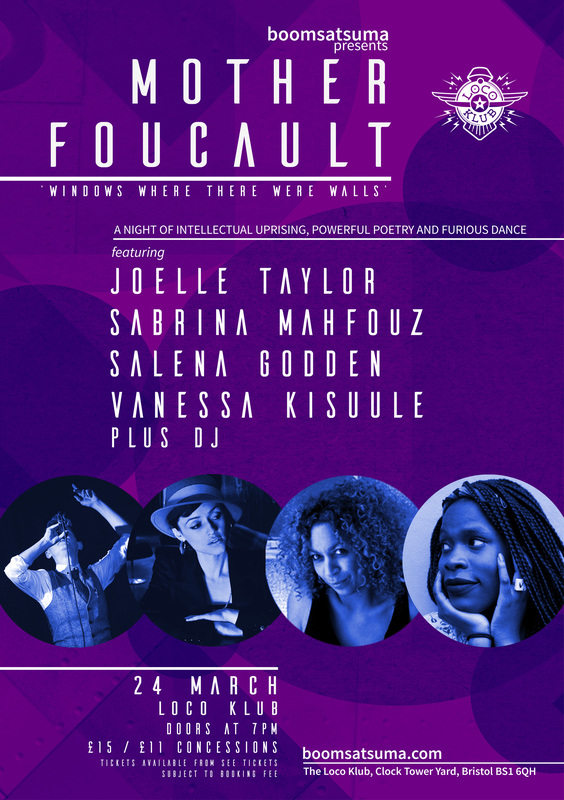 The launch gig gathers together the mighty legend that is Salena Godden, alongside magical Edinburgh Fringe First Winner Sabrina Mahfouz, with former UK Slam Champion Vanessa Kisuule, and myself – hosting and doing a short set. And when the thinking is done, the dancing begins. Queen B from the Bristol underground scene will be selecting until lights out early in the morning. Mother Foucault is a speakeasy soiree for the 21st century.